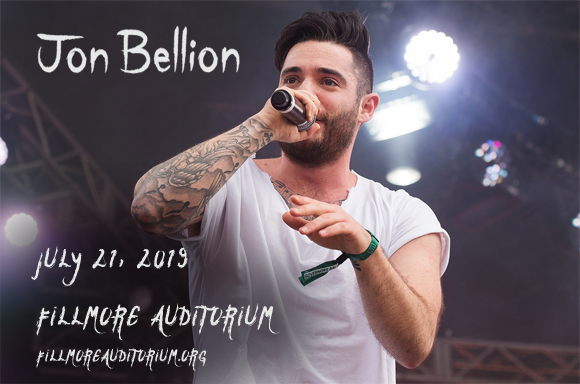 Groundbreaking, Grammy Award-winning hip hop artist Jon Bellion comes to Fillmore Auditorium on Sunday 21st July 2019 on his Glory Sound Prep tour! The multi-talented writer and performer will be performing brand new material from his recent album of the same name, bringing his thought-provoking rhymes to the stage! Expect exciting things from this conceptual visionary! American rapper, singer, songwriter and record producer Jon Bellion first came to public attention with his debut mixtape, Scattered Thoughts Vol. 1, which was self-released in early 2011. Signed to Visionary Music Group in 2012, Bellion co-wrote Eminem's song "The Monster" featuring Rihanna, which was released on his 2013 album The Marshall Mathers LP 2, which went on to win a Grammy Award in the 2015 Grammy Awards for Best Rap/Sung Collaboration. He also co-wrote and produced the song "Trumpets" by Jason Derulo in 2012. Bellion's debut studio album, The Human Condition, was released in 2016, debuting at number five on the US Billboard 200 and launching the single "All Time Low", which reached number 16 on the US Billboard Hot 100 and was certified double-platinum in the US and Australia. Glory Sound Prep, his sophomore studio album, was released in 2018.